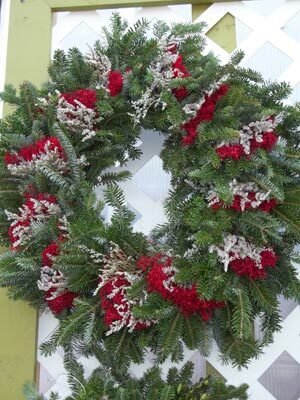 What makes a poinsettia or holiday greens (wreaths) fundraiser from Good Harvest Farms successful? 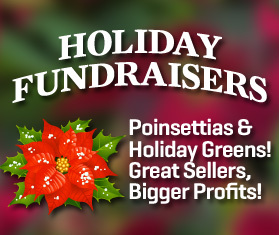 With poinsettias and greens, you offer a special item that your supporters already will want to buy during this time of year, avoiding competing with the other more common fundraisers. Your order is not limited by increments or packages. You select the exact quantity, size and colors that your organization prefers. We do our best to accommodate last minute adjustments and we’re here to provide guidance and service to help your fundraiser proceed smoothly. We truly care about your organization and your success with our products. We will do everything we can to make this a great event for your organization. We grow all of our poinsettias right here in our greenhouses. Our wreathes and greens are made daily on our farm from fresh-cut Pennsylvania greens. Our quality can’t be beat. You are free to set your selling price and your level of profit. No stocking, storing or handling costs. We have many tips to help you make more money for your group. Download the Fundraiser Order Forms!